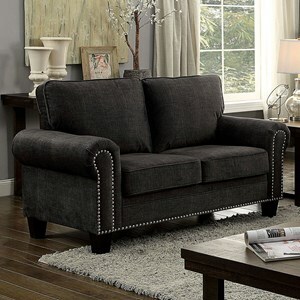 This two person loveseat will decorate homes with a casual charm. 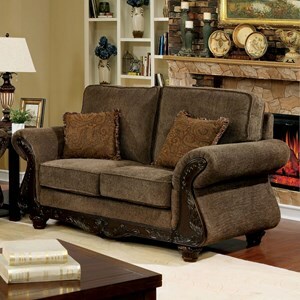 Designed to be decorative but not over-the-top, this piece features subtle accents like rounded arms and wooden feet. 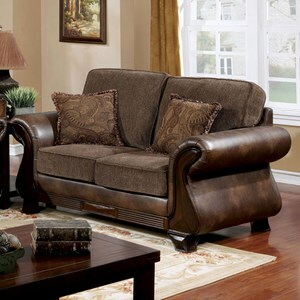 Welt cord trim outlines the loveseat's seams for a tailored look. 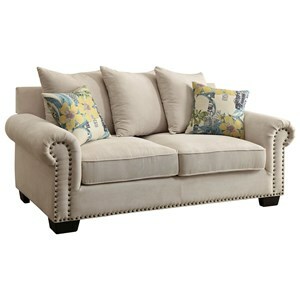 Place this piece with items from its coordinating collection for a homey looking living room at an affordable price. 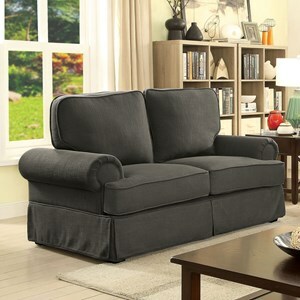 The 3300 Casual Loveseat with Round Arms by American Furniture at Rooms for Less in the Columbus, Reynoldsburg, Upper Arlington, Westerville Ohio area. Product availability may vary. Contact us for the most current availability on this product.